Rubenerd: Get rid of the HootSuite social bar for good! Get rid of the HootSuite social bar for good! 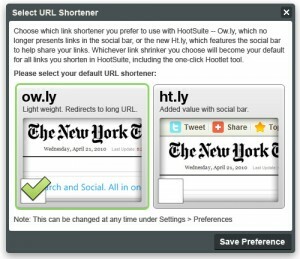 Remember one year ago to the day when HootSuite changed their framed "social bar" to be opt-in? Alas, some people on Twitter still prefer sharing links that use the bar and render target pages inside a frame. To be blunt: I'm surprised anyone, anyone likes these! Make them entirely "opt-in" for you by grabbing GreaseMonkey and this script by Swaroop Hegde. No more social bar ^_^.